Can two popular cyclocross bikes have completely different personalities? 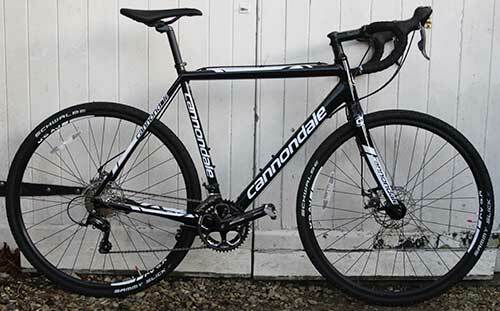 I’d have to say a big fat “Yes” – I’m running a Cannondale CAADX Sora Disc (bought in December 2014) and a Kinesis Crosslight Pro3 (about three years old), both ace bikes in their own right, but very specific in terms of which would be best for different owners. Cyclocross bikes, with their space for bigger tyres and general rufty-tufty nature, have long been a choice of the commuter and as an alternative winter-hack for roadies. This interest in cyclocross bikes has increased apace in recent years, especially as disc brakes become more prevalent, and what we’re starting to see is the cyclocross bike morph gradually into a commuter bike with less emphasis on racing and more on rider comfort – not unlike the shift of road-bikes to ‘sportives’. I’d place the target for Cannondale’s CAADX firmly in this ‘commuter’ range. Don’t get me wrong, you complete a cyclocross race very competitively on a CAADX and, certainly with the higher specced versions, you’d have a bike that stood up well to scrutiny against the better-specced race machines. In fact the CADX is a really good example of a frameset that is worth investing in with a view to upgrading. 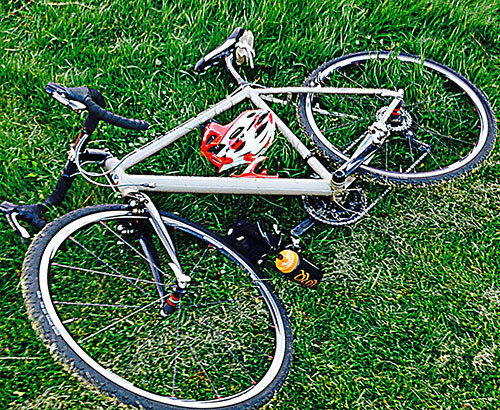 However if you’re looking for a cyclocross race bike, then the Kinesis wins hands down… My Kinesis Crosslight is fitted with SRAM Rival, SRAM’s lowest road groupset, but the bike still feels light and is crying out for better/lighter components. It’s also incredibly stiff for an aluminium frame, with very little give if you put the power into your pedal strokes. It’s worth noting that the Kinesis has none of the rack or mudguard mounts found on the CAADX, they’ve saved every ounce of weight on the Crosslight frame. While the Kinesis might be lighter, stiffer and faster than the Cannondale, you wouldn’t want to spend much more than a normal race length (about an hour) on it. The Cannondale in contrast is way more comfortable and I’ve got good rides in on it, comfortably up to about 70km, so if you’re not racing but want a commuter or all-round bike then the ‘Dale wins hands down. Saying that, the Cannondale with Sora is carrying about a kg of extra groupset weight over the 105 version, which would start to make it a good race option, and plenty of people race on them to good effect. I had expected to race the CAADX and bought the Crosslight for those days when my son comes along to races – fortunately, so far, he’s not been able to join me, so I’ve been left with the Kinesis. This is the key difference between the CAADX and the Crosslight – while the Cannondale is a great cyclocross bike that comfortably doubles as a commuter or winter-hack, the Kinesis is a race bike that just wants to go faster. 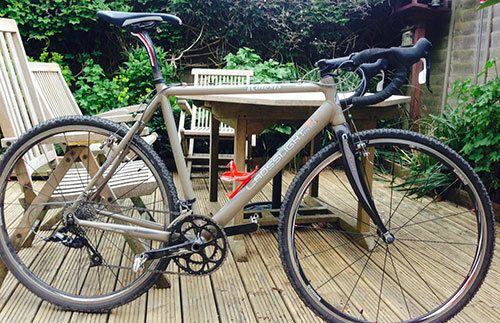 Update 10th July 2015 – I used the CAADX in the race at Hengrove on Wednesday and it was very quick. While it lacked the ‘immediacy’ of the Kinesis, it’s relative compliance and slightly more comfortable position meant that it was easier to keep pushing it along harder than I would probably have done on the Kinesis. I’m really torn now… the CAADX was on ebay for a couple of weeks recently and got a fair few watchers, the intention being to sell that and upgrade to a new Crosslight. However, I’ve pulled the ebay advert and am now planning to upgrade the CAADX to 105/Ultegra specs, with lighter wheels, as I think that for my riding that will be a more effective ‘tool’ for winter cyclocross racing… watch this space for details on that upgrade.